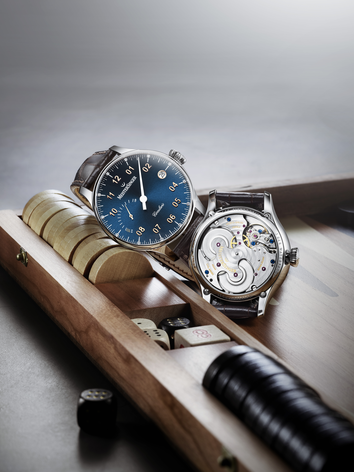 With its single-hand watches, MeisterSinger goes back to the beginning of the art of clock making and shows us how charming it can be to tell time in its simplest possible form. It is the simplicity of design and function which attracts us and gives us a sense of calm, which is setting a counter-trend in our fast-moving times. All watches are connected by the same timeless stylistic elements. Everything is assembled with sense and understanding. The longer it is worn, the more it is appreciated. The Blue Company London Ltd.